Basque music is making itself heard these days at the Celtic Connections festival currently being held in Glasgow – not only by the artists themselves, but by music industry professionals. Among other cultural activities, meetings between industry professionals, including several representatives of the Basque musical sector, were held on January 24 and 25. Known as Connecting Cultures, these gatherings are aimed at building ties with Scottish-based representatives of international work. The event brought together 40 music industry professionals, ten from the Basque Country, representing various management agencies, bands, organizations and government institutions, including Etxepare. Britain also sent delegates to Glasgow, ranging from festival programmers to government institutions. To encourage a close working relationship between the two regions, events meetings, networking activities and individual presentations. Celtic Connections is one of the most important festivals of world music. This year, the artistic directors highlighted the presence of Basque groups, selecting performances by Korrontzi, Kalakan, Oreka Tx and Huntza. The multicultural band Tosta Banda was also chosen to appear on stage. Tosta Banda is a project that includes members from 7 cultures with minority languages: Scotland, Ireland, Wales, Cornwall, Frisia, Galicia and the Basque Country. For all these groups, the festival is an excellent opportunity to make their music known internationally and to forge relationships with Scottish music industry professionals. Basque music was heard on the stages of Celtic Connections for three days. On January 24 Korrontzi performed at the Old Fruitmarket, and Kalakan at the Royal Concert Hall. January 25, Huntza played at the Queen Margaret Student Union and Tosta Banda at the Royal Concert Hall. And on January 26 the duo Oreka Tx took the stage at the Royal Concert Hall. 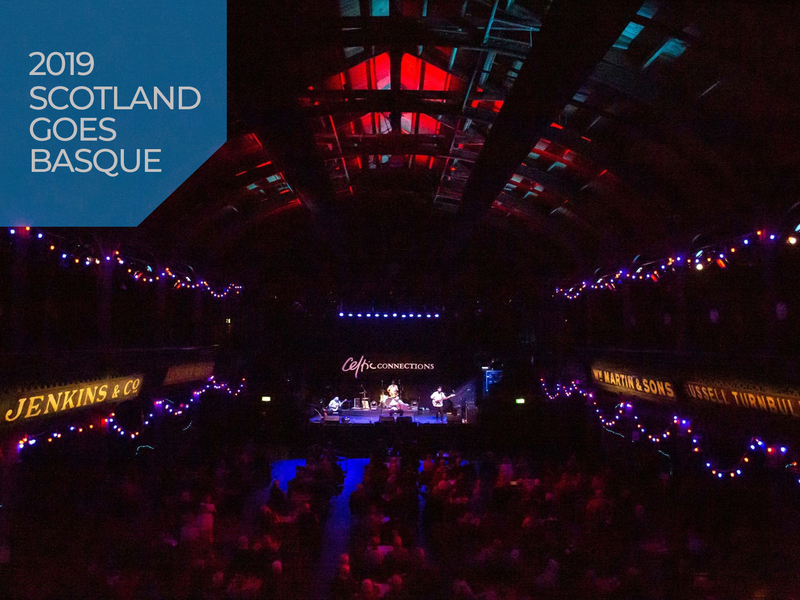 The presence of Basque musicians and professional at the Celtic Connections festival is part of #ScotlandGoesBasque, a year-long programme sponsored by the Etxepare Basque Institute. In 2019, Basque culture will travel to various cities in Scotland as part of a project aimed at bolstering relationships with Scotland through culture, art and language.